Car dealers are well versed in the art of visual branding. They understand that customers are less likely to buy from a dealership that doesn’t have a professional appearance, which sends a bad message about the vehicles it’s selling. Effective visual branding tells customers what they need to know about your business, communicating company values and reinforcing the intended brand image. What many dealerships don’t know, however, is that sound works in the same way, and its potential is too infrequently harnessed. 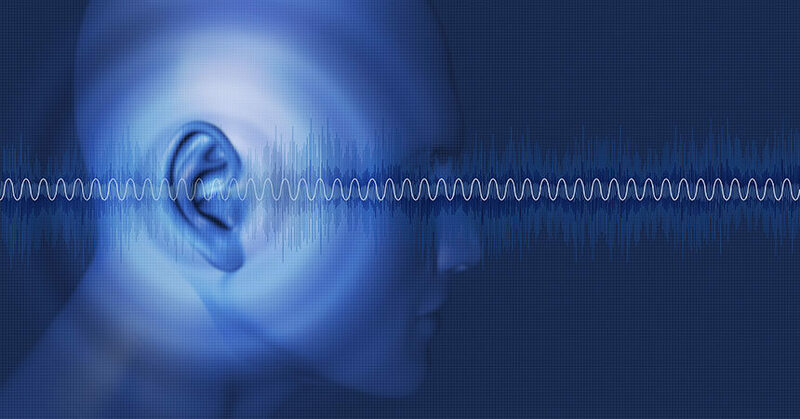 Audio is an extremely potent tool for enhancing brand recall and recognition, primarily because hearing is one of our most powerful emotional senses. This can apply to radio and television advertising or sounds heard on business premises, but mainly it involves sounds heard over the telephone. For dealerships, the phone is still a key method of communication with potential customers. The impact of sounds heard on the phone is long-lasting. If a caller encounters an unprofessional audio presence, it can be damaging. In fact, recent research of 2,234 American consumers by PHMG discovered only 29% are satisfied with the way dealerships handle their telephone calls. The same survey found 59% of respondents will never buy from a company again if their first phone call was not handled satisfactorily, showing how sound can have a powerful impact on the subconscious. Vehicles are prized possessions, so customers want assurances of quality and dependability from dealers. Professional voices and music on the dealership’s phone system can go a long way toward providing this assurance. When constructing an audio profile for your dealership, it pays to pick an audio specialist who can best determine the most suitable style, tone, and overall sound of your business. Rather than choosing a piece of existing music or getting an employee to record telephone messages—a round peg, square hole scenario—consider what your existing branding says about your organization, then work forward. The wrong brand attributes can present a detrimental image of the dealership, something difficult to shake in the long run. Not only can a customized audio brand reflect your desired business values, it can also create a positive first impression, and provides a subtle sell on your vehicles and services. Many elements should be considered when forming a voice for your business. Which gender and age group should it be? Should it have an accent? Each variable conveys a different meaning, so careful deliberation is necessary. When purchasing a vehicle, people want to know that they are buying from a trustworthy source. With this in mind, it’s not surprising that research reveals the typical phone voice in the industry is 30 to 40 years old, with friendly tones and a calm delivery. An older age profile helps establish a sense of expertise because older voices are largely perceived as dependable, professional, and knowledgeable. If your line of vehicles is pitched as fun and exciting, however, a younger, upbeat voice might be better for your dealership. In terms of gender, it’s too easy to pick a voice based on the industry stereotypes. Although it’s essential to choose a voice that communicates effectively with a customer base, it’s more important to consider the brand’s unique identity, then develop a customized solution around it. Dealerships use both male and female voices in their audio branding. A masculine voice tends to depict authority and reliability, providing a subconscious reassurance that customers are in safe hands. In contrast, a female voice, usually perceived as soothing and pacifying, is ideal for situations that require a comforting response. A regional accent can also be used to influence how the customer feels about your brand. If your dealership operates in a particular geographical area with a strong sense of identity, an accent can convey a sense of belonging, and helps to speak to the customers in a manner to which they can relate. Musical sounds we hear have the ability to spark emotions and transport the listener to a certain time or place. But what happens if the recollection is negative? Using a commercial music track in your audio brand can be risky because people may associate the song with unfavorable memories. By creating a new musical track, you give customers a blank slate to form a fresh opinion of your dealership. You can also reinforce the brand image being communicated through a singer’s tone of voice. Physical attributes—volume, pitch, and tempo—also need to be considered when creating a music track. Dealerships often opt for live, traditional instrumentation to reflect the company’s trustworthy, personable characteristics. The music is often upbeat in tempo, with memorable melodic lines. Audio branding can prove futile if not deployed correctly, however. For example, listening to a song on repeat can cause a person to suffer from sound fatigue, and the same goes for voice and music messages heard over the telephone. If customers hear the same messages each time they call a business, they eventually switch off and the messages become pointless. Refreshing your phone content not only ensures callers are kept aware of business updates, but also holds their attention and keeps them on the line. Wise dealers give consideration to how their dealerships sound. Brand-congruent audio can be a powerful element in a dealership’s marketing mix. It works in a subtle, unobtrusive manner by warming customers up to purchase before they even speak to a person. Dan Lafferty is director of music and voice for PHMG, and has worked as an audio branding consultant for the past six years, advising companies on how best to use sound as part of their marketing mix. He has worked extensively on the psychology of sound, studying how audio can help to shape consumer behavior.